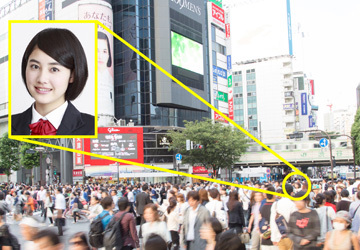 DM Public Security (DMPS)｜SFM Co., Ltd.
DM Public Security is a face surveillance software that analyses images from IP cameras in real time, and matches all detected facial data against pre-registered images. Multiple camera images can be analyzed simultaneously to enable wider-ranging face recognition. Combined with alarm and door open/close functions, DMPS ensures safety. It can operate even in a situation where the database, server, and clients are placed in separate locations, and only requires easy maintenance. The system is applicable to wide-ranging purposes including searching for criminals and suspects in public areas, crime prevention in public facilities such as stores, financial institutions, and hotels where safety is most required, to detecting VIP customers, and more. DMPS system has already been deployed in a number of countries. We also have received strong interest from airports, police forces and security authorities in more than ten countries.